A bayfront cultural district — like Rome — would not be built overnight, and the planning in Sarasota has only just begun. A new independent group will soon begin formal work with the goal of creating such a district. 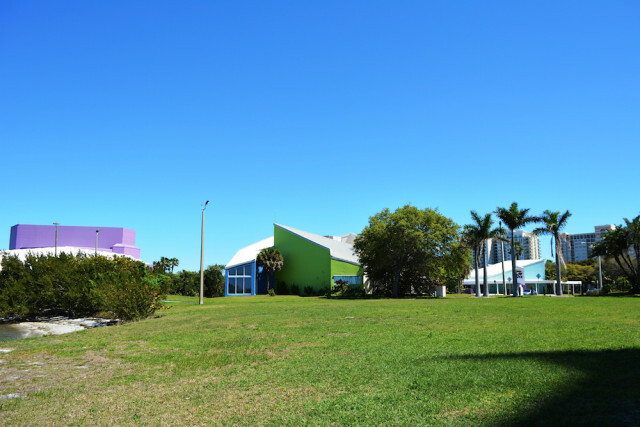 During the Monday, March 21, Sarasota City Commission meeting, the topic will be at the center of a discussion as the commissioners consider the makeup of that group. Commissioner Susan Chapman, who placed the item on the agenda, is suggesting the independent committee include city staff and a member of the city’s Parks, Recreation, and Environmental Protection board (PREP), a desire the City Commission has previously noted in a vote. 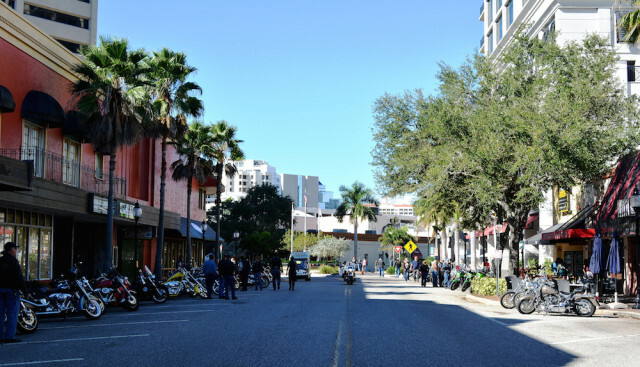 The discussion is scheduled for the afternoon session of the meeting, which will begin at 2:30 p.m. in the City Commission chambers at City Hall on First Street in downtown Sarasota. 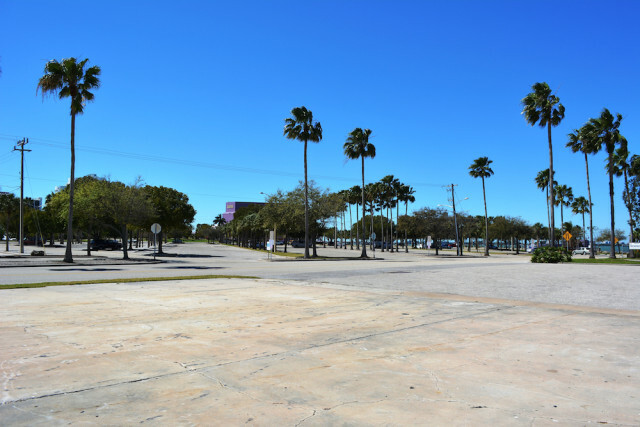 When it comes to Sarasota Bayfront 20:20’s plans for transforming 42 acres of city-owned land, Chapman has said she wants to ensure the city cautiously approaches the matter of funding. She has questioned how a consulting firm came up with its $150-million to $520-million range for performing arts amenities, whether the city could afford the expense, and whether the city commissioners will be asked to tap into the city’s bonding capacity, The Sarasota News Leader has previously reported. During an earlier commission meeting, brief discussion ensued about the lack of information early in the planning process for the proposed cultural district — including details of a study the Sarasota Orchestra has since argued is not a public record. Placing a city staff member and a PREP board member on the committee, city commissioners say, is an effort to help ensure transparency in the planning process for what could become an ambitious public-private partnership that would shape the future of city-owned land. 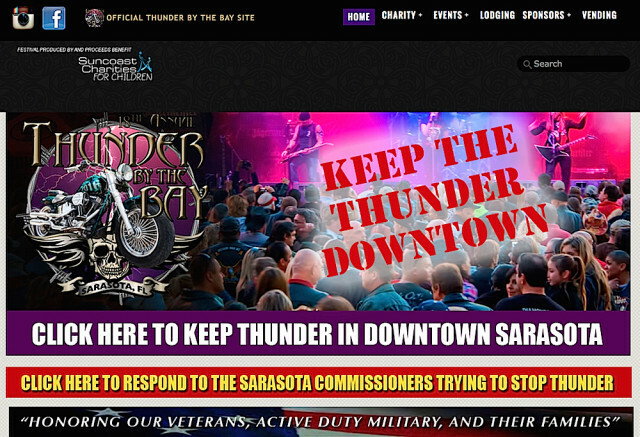 On Monday, the commissioners are also scheduled to address special events — a discussion that could decide the fate of Thunder By the Bay, the large and loud annual gathering of motorcycle enthusiasts, which has drawn both ire and support. 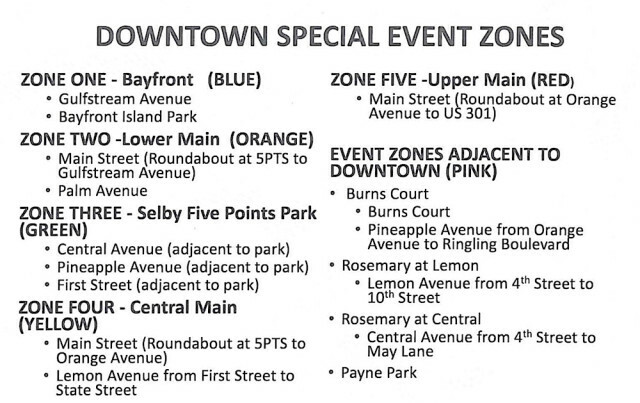 The city commissioners will consider whether to allow any major events to be held in downtown Sarasota during the winter tourist season. The decision possibly could force the festival to seek a new location for January 2017. The discussion is slated for the evening session, which will begin at 6 p.m. In a public debate that reached a crescendo in January — after the latest Thunder By the Bay ended — both residents and downtown merchants were divided over whether to allow the motorcycle rally to return to its longtime Main Street locale. “For the last two years I have closed the store for the weekend that Thunder is in town because we have no business when that event is in Sarasota,” Georgia Court, owner of Bookstore 1, wrote to city officials in yet another email, also sent Jan. 29. But supporters have defended the event. Lisa Frick, a volunteer with Thunder By the Bay’s sponsor — Suncoast Charities for Children — wrote an email to Commissioner Susan Chapman on Jan. 24.